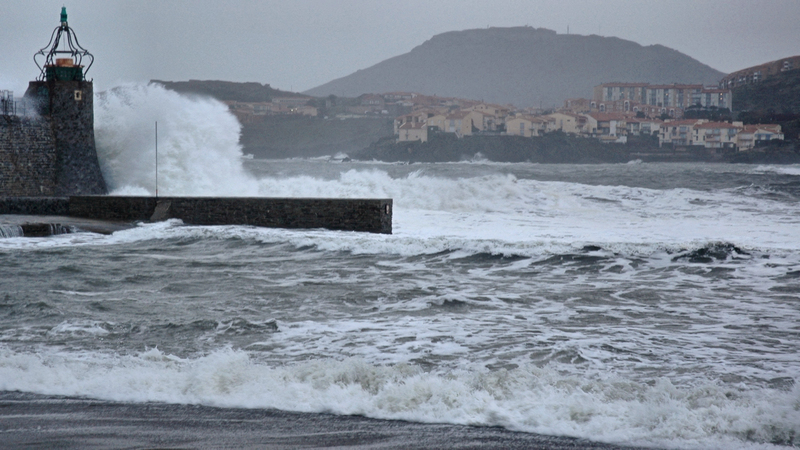 A flashback with a return to a very special February day in 2007 in Collioure, south of France. 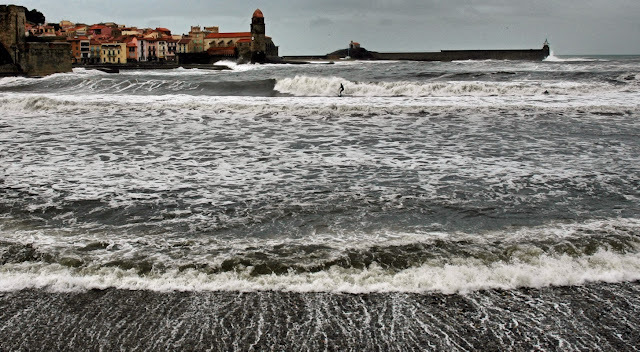 In spite of 300 days with sun in the year - this was a day where heavy waves from a passing storm was coming in right to the beaches in the village of Collioure. And of course where there is this kind of waves there is also surfers. See if you can spot the surfer in the middle of this photo taken 10 years ago.